Is there anything more fabulous than something created through the wonder and miracle of caramelization? Are there no means and ends that one won’t go to, to experience that sigh with relief when one triumphantly pulls this perfectly caramelized melange of butter, sugar, and salt out of their oven? I think not. Those butter-loving Bretons invented this unique gâteau for delivering the maximum dose of caramel: an all-encompassing dessert, which does double-duty at tea time. And I’ve been obsessed with figuring out how to make a perfect Kouign Amann, one of my favorite caramelized things in the world. And here are my results. 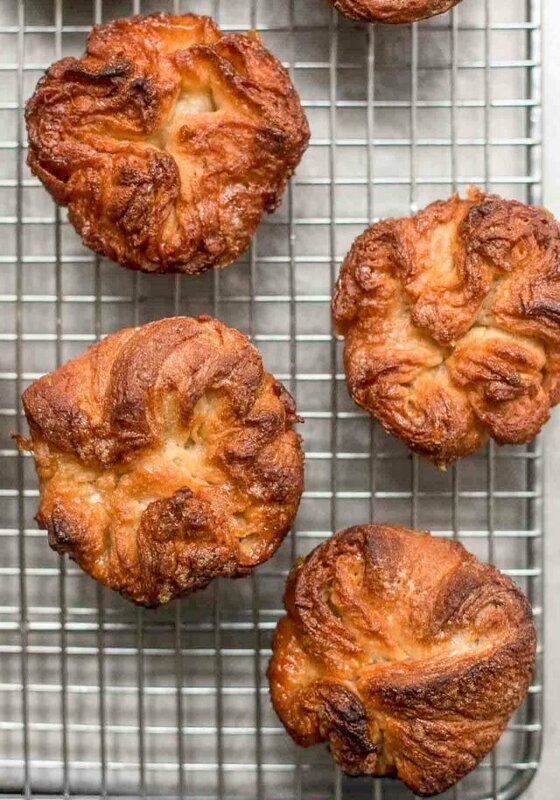 I searched long-and-wide for Kouign Amann recipes, which are rare…either they’re really sketchy, assuming that no one will actually dare to make it, or they didn’t work at all and I was left with a wet, buttery mess. This week, I pulled disk-after-caramelized-disk out of my oven in an obsessive attempt to master this dessert that I love so much. This was also much to the delight of friends and neighbors, who never thought they could get enough Kouign Amann. After all my tinkering, by now they have. This is a very sticky dough. You should have a metal bench or pastry scraper or a metal spatula handy to help with turning, as well as to keep the dough from sticking to the countertop. Work fast. Letting the dough sit on the counter and warm up is not a good idea. Roll quickly. Although I recommend waiting about 1 hour between rolling out the pastry layers, you can wait several hours (or overnight) for example, if you have a bit of extra time. It is strictly forbidden to think about diets while you’re making a Kouign Amann. 1. In a medium bowl, dissolve the yeast in the water with a pinch of sugar. Stir briefly, then let stand for 10 minutes until foamy. 2. Gradually stir the flour and salt. The dough should be soft, but not too sticky. Lightly dust your countertop with flour and transfer the dough onto it. 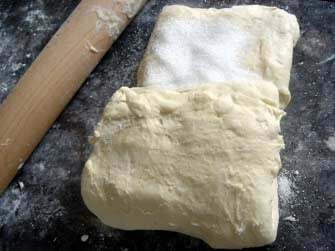 Knead the dough with your hands until the dough is smooth and elastic, about 3 minutes. If the dough is very sticky, knead in just enough flour, one tablespoon at a time, until the dough doesn’t stick to your hands. 3. 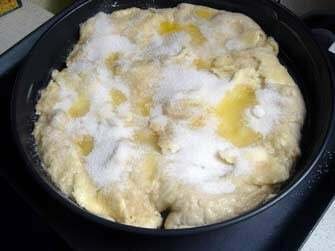 Brush a medium bowl with melted butter, put the dough ball into the bowl. 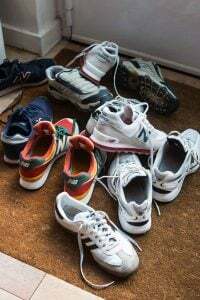 Cover, and let rest in a warm place for 1 hour. 4. Meanwhile, line a dinner plate with plastic wrap and set aside. 5. 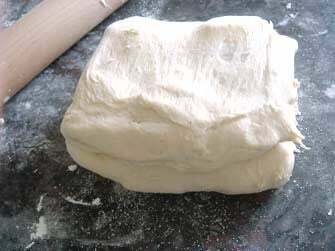 On a lightly floured countertop, roll the dough into a rectangle about 12″ x 18″ with the shorter sides to your left and right. 6. 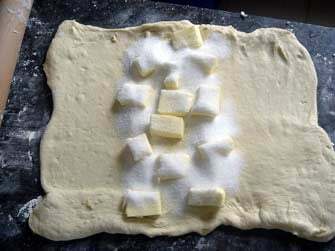 Sprinkle the entire length of the dough with ¼ cup (50 gr) of sugar and (without rolling) fold again into thirds, as before. Place on the plastic wrap-covered dinner plate and chill for 1 hour. 7. Once chilled, remove dough from refrigerator. 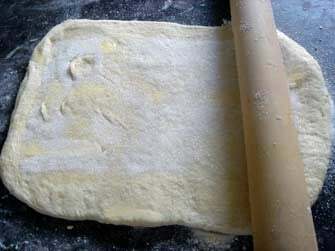 Top the dough with ¼ cup (50 gr) of sugar, press it in a bit with your hands, and roll into a rectangle for the last time. Now wasn’t it easier this time? Again, fold into thirds and let rest in the refrigerator for 30-60 minutes. 8. 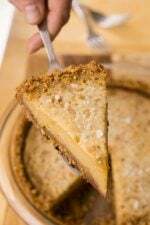 Preheat oven to 425° F (220° C) and brush a 9-inch (23cm) pie plate, preferably non-stick, with melted butter. 9. Remove dough from refrigerator. Roll dough into a circle about the size of the baking pan. It will be sticky; dusting the top with a sprinkle of sugar will help. 10. Sprinkle with the remaining ¼ cup (50 gr) of sugar and drizzle with 1 tablespoon melted butter. Bake for 40-45 minutes, until the top is deeply caramelized. Let stand a few minutes, then run a spatula around the edges to release the Kouign Amann and slide the cake from the pan onto a cooling rack. Another Kouign Amann, made using American ingredients. Served with Love makes this Kouign Amann. French Letters shows-off a buttery example as well. Wow — thanks for the recipe and demonstration! I recently discovered Kouign Amann at a relatively new patisserie called Boule in LA. I can’t wait to try yours. I know what I am making this weekend! I knew I dragged my french rolling pin from American for a worthwhile cause! Mmmmm. I’m positively drooling. I’m practically pastry-phobic when it comes to making complicated desserts, so I’ll probably have to make do with baking vicariously through your evocative photos. Hmmmmm…caramelly kouign, caramel corn, caramel macarons…do I sense a trend? Speaking of Laduree’s caramel macarons, I tried them for the first time yesterday and I have only three words for you: Oh. My. God. Since I was given the option of tasting three of your wonderful Kouign Amann creations, (the 3rd baked/the first tasted, being the best) I consider myself very lucky. Of the other two, the darker one was liked by all in my home, a bit more than the lighter one. Did you really call Katie Couric “honey”?!!!! Ahhh, that’s great. If it`s as good as the caramelized pop corn…I’ll try it despite the fear of buttering all my kitchen!! Making Kouign Amann is not for the easily-intimidated (which is why I took lots of photos!) but the result is, as you can see, worth it. Alisa: My French friends actually prefered the first testers that I made before I reduced the sugar by 20%! They said the sweeter ones tasted more ‘authentic’. And yes, Taina….there is a trend here; maybe I should re-name the blog, CaramelKarma.com! my recipe reads 250gm T45(strong) flour, 200gm(all inclusive) sugar and 150gm butter. the method is exactly the same as yours. because the sugary laminated yeast dough is much like making puff pastry, we did it over two days. it goes well with caramelised granny smith slices, jus aux pommes, a quenelle of cinnamon/vanilla ice cream etc etc. a similar dish from a different part of the world(without ODing on the sugar, if one doesnt wish to) is the egyptian fettir. Thank you so much david. Since i tasted one kouign amann in brittany i’ve been desesparte to make some. I recently made some kouign aman too! I refuse categorically to make this. How come you’re not fat? I refuse categorically to make this? I’m getting fat! There are special microscopic particles in the air in France. If you breath them in all day long, you can’t get fat. It’s amazing! This is so going on my to-do list. Could you ship some of that french air over here? I think I am going to need it! Hmm, doesn’t look like too bad of a recipe… One stick of butter for two cups of flour. Not sure how to take the Court TV comment, since I work there. THANK YOU FOR THE RECIPE!! I’m doing it for a French project. Thanks for your recipe. As far as I know it’s the best recipe for the kouign amann around here. I read some French blogs at first but didn’t find a good recipe. It turns out your recipe is the most detailed (and does tell us that the dough is very sticky, something totally unmentionnend otherwise). hi EM: It should look like the one at the top of the page; flaky and buttery! Since I know it’s tricky, that’s why I provided step-by-step photos to help. If it’s too hard, perhaps it was cooked in a dark pan which conducted the heat too quickly. Thank you for your reply David, I wasn’t sure if you would even read this so I am happy you did! My friend is French, and great at baking (she makes her own pate feuilletee) so I was surprised when she had the same result that I did. I had had kouign amann before in France so I knew that it should have looked and tasted different than it did (by the way, my husband ate it anyway, except for the really dark parts, he couldn’t stand to let the butter go to waste, a true Breton!). I had printed out the step by step instructions with the pictures and followed (at least I thought I followed) the instructions precisely. Maybe it was the pan… Should I try it in a clear glass pie plate this time? Oh, and my oven was on “convection” (which usually isn’t a problem when I cook or bake, on the contrary) maybe that also had an effect? I’m going to try this — looks and sounds wonderful — but how in the world do you pronounce it? awesome guide. I just found out about Kouign Amann two days ago. My french coworker kept saying how delicious Kouign Amann was. I pretty sure I can’t find any Kouign Amann around where I’m living, so I thought I try to make it..and came across your guide. Hopefully my Kouign Amann comes out right lol. Thanks for the guide with photos !! FYI: in Breton, “kouign amann” literally means “butter cake”. When the dough has been rolled out and butter/sugar folded into it, and it is put in the refrigerator to chill on the plastic covered plate, should the dough also be covered in plastic to not dry out? 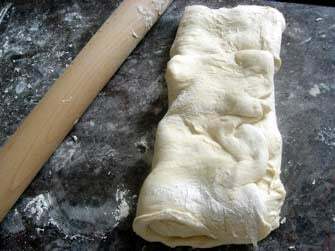 Chris: Since the dough is rather wet and sticky, it doesn’t need to be wrapped with plastic. Plus a concerned reader took me to task recently for using plastic wrap, I thought in deference, I would use as little as possible. Thanks for your reply,David. That’s totally cool. When I wrote last night, I didn’t mention that I was in the midst of my second attempt at Kouign Amann this weekend! The first was a total failure, producing an inedible, sugar encrusted disk. While it was indeed wet as a dough, it never was very sticky, so I thought maybe too much flour. The second Kouign Amann attempt, I carefully spooned and measured the flour, and the dough was the coveted (?) sticky consistency. I thought maybe covering the dough in plastic might have produced some condensation because it was actually wetter after being refrigerated, but I did anyway because I didn’t have your answer yet. When I pulled the second dough out after the second chilling, it was sitting in a pool of sugary water, like a syrup! It turned out a little better, but still a bit too hard. Did it lose too much moisture to the pool of syrup? I am under the gun now, because I promised this to my French class tomorrow morning. I think I’ll have time for two more prototypes. This time no covering in plastic. On a different subject, I heard you on Martha Stewart radio when you a guest several months ago, and thought you rocked! I proceeded to buy a couple of your books and am thinking about the Chocolate Tour! Then when I googled Kouign Amann recipes, I ended up here. Quel coincidence! Aha! This is a Lardy Cake variation. I know it from Oxfordshire/Wiltshire, England, though there are no doubt further versions in other areas of the country. I have a horrible feeling that just looking at your recipes is causing extra layers of fat to settle on me. Drat! I tried it for the first time today. Unfortunately, I haven’t had the “real thing” yet so I don’t know how it should look like. Does “flaky” mean it is like a croissant? Mine was more like a cake inside. It would be helpful if you could add a close-up photo of the baked cake cross-section. I also experienced a pool of sugary syrup after leaving the dough in the fridge. Is that normal? What about the convection oven? Any changes needed? I also used a regular springform and got quite a lot of butter leaking. That definitely caused a change in the end result, so I will try with a deep pan next time. Could a regular (fresh) yeast be used? What quantity? In Step 7, I presume that the folding is again twice (left-right and top-bottom), right? What is the correct pronunciation for “Kouign Amann”?? I have it on its last chill right now. Kinda excited to see how it will turn out! If it does well, and even if it doesnt, Ill probably blog it tomorrow. 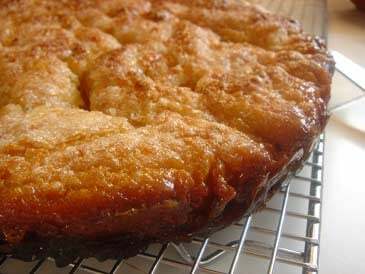 I am so delighted to have stumbled upon your blog for a cookie recipe and to my amazement, I have found your recipe for Breton butter cake. I was visiting the old town of Dinan on a vacation trip to Brittany last April with my husband and bought a few unforgettable pieces of this cake for a small corner bakery and in my rush, I forgot to write down the name of this delicacy. As we drove away from the town and tasted this pastry, I begged my husband to drive back so that we could buy more. When we got back to the States, I never forgot about it and was sad that I may never find it again. Seeing a photograph of this cake made me so happy. Now I know its name (I think). Thanks for posting this recipe which I will attempt to make soon and share with my family and friends. I am now a big fan of your blog. Keep up the great work! Also, what camera do you use for taking these fabulous food photos? I did take a photo of this pastry while in Dinan and would be happy to send you a copy just to see if you can confirm if it is the same cake. Do you know of any bakeries in the East Coast that make this cake? I haven’t come across any bakeries that make this yet. Thanks. I made this recipe almost to the letter-I used 1/2 water and 1/2 leftover whey from having squeezed out some yogurt earlier, because I guessed it would add a nice slightly sour/complex undertone to the dough, and I was right. This was my first time making it and it was extremely delicious. I did most of the steps in the evening on Sat., let the finished cake get a little head start to rise in the pan, then refrigerated it overnight to bake for Sun. morning. I recommend that folks watch it carefully in the oven because mine was VERY dark, just short of burned, at 35 minutes(I use an oven thermometer so I know it’s accurate) Also, my hubs and I each ate half, so you might want to make more if you’re feeding gluttons. I loved the crunchy caramelized exterior and fluffy, layered interior. Thanks for the precise instructions, David. I will surely consult your recipe to make this again. *I wrote one thing wrong. My husband and I TOGETHER ate half, so one Kouign Amann would feed four, not two, very hungry folks like us. I’m preparing to try this recipe in the next few days and I have one question for you, David, or any of you who have successfully made this butter cake. When you have placed the finished dough in the pan, do you bake it immediately, or let it rise first? I wondered if that might be the problem for people who said their cake came out hard and flat. Thanks for this, and all your recipes, David. After being an avid home baker and cookbook reader for 30 years, and visiting France 8 times, it’s a thrill to find a recipe I’ve never even heard of, much less tasted. I’ve been drooling over these pictures for too long and decided to make this today. I didn’t find it very hard to handle, it just stuck to the countertop once, but that was solved with a bit of flour and some gentle pulling. It was a little hard to roll it out with the cold chunks of butter in it too, and they kept falling out. And I skimped on the resting time in the fridge before finally rolling it out, but it turned out fine. I used a Pyrex pie dish and the dough wanted to break so badly that I cut it into more manageable quarters and pieced it back together in the pan. Slightly burnt around the edges and dripped caramel on the floor of my oven, but turned out so well it more than made up for it. I just made these; I opted to make the individual ones. Wonderful, delicious, addictive with all the wonderful, caramel salty goodness! I learned a lesson as well. Don’t use “dark” baking sheets, pans, etc…it will make the caramelization go too quickly and will burn. ( We ended up pulling the burnt layer off, and still ate the upper parts, yummy!) I will be making these again in an effort to perfect the end product. I really enjoyed making the dough. It was great fun and good to learn…oh, l love all those layers! Thanks!!! I just made this for Father’s Day. It was so wonderful! It took forever but I would do it again. I was going to share a slice with my roommate but I decided that if I gave her a slice, I would only have two left…so I gave her one bite. So selfish. But it was so good!! Yep, I made the mistake of using a dark pan as well and it turned into failure. Even though it clearly states pie plate, I kept on thinking cake pan for some reason. Another problem was that although I used a solid pan, a lot of the caramel spilled over the side into the oven, causing a lot of smoke. I had to open the oven a number of times to insert a cookie sheet to capture the spilling caramel as well as let the smoke out, and I know this messed things up as well. hi gina: I don’t let it rise again on the last step since it’s not meant to be super-puffy. Check out the links at the end and see how other folk’s turned out for other end-results. I made it again and it worked out almost perfectly. This time the oven thermometer was around 415-420F for 38 minutes and I used a 9.5″ Pyrex pie plate. Also, I made a ring of parchment on the edge of the pie plate, maybe 1-1.5″ in height and this prevented almost all the spillage over the side, and a cookie tray on a lower rack caught the rest. It only smoked slightly for the last 5-8 mins of cooking, rather than filling the entire kitchen. A slight problem from this was that the caramel pooled a bit on one corner, resulting in it being a bit less crunchy in that area, but to me it didn’t affect the result enough to really matter. I have been working on kouign amann from Madeline Kammen’s recipe. I’ve taken some pictures of the outsides and crumbs of a couple of different results. Would you like to see them? I have had Pierre Herme’s ka and it seemed like a stale carmel roll, not laminated like these results. 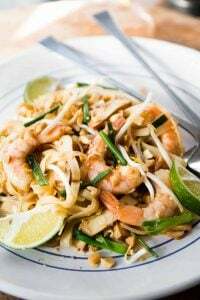 I admire you for taking this recipe on–it is very difficult! Hi Mary: Yes, it is a bit of a project…but worth it! I didn’t know Madeleine Kamman had a recipe. If you have your pictures on a picture-sharing site (such as Flickr), or elsewhere, please do post the link to them here. I tackled the wonderful Kouign Amann last night. I didn’t have any real trouble with it. My regular yeast wouldn’t proof, so I went ahead & used instant yeast, and added the same amount of water to the flour mixture. No problem. David — do you have a default preference for regular over the instant? I usualy find the instant to be more reliable, and just easier to work with, once I figure out the 25% less calculation. Used Plugra salted butter (it had the most salt of all the high-end butters at my local store). My increased-recipe-amt fit nicely into a 9×13 pan. I think the round is probably nicer aesthetically, but I just wanted a larger quantity, since I was bringing it to work. I was quite happy with the outcome, and will definitely make it again. It was just a beautiful, lumpy/bumpy caramelized delight. A vehicle for butter & sugar — & what could possibly be wrong with that??? Thanks for the recipe. My wife and I had never heard of Kouign Amann until we visited France this year and ate one in St. Malo. We should have bought another one to take with us. The bakery stall offered to spread Nutella on it, but I don’t understand why anyone would want to ruin such a wonderful thing. I have a question, though – why salted butter? Is it usual in France, or specifically Brittany, to use salted, rather than unsalted butter? Just curious. BarbF: Thanks for the pictures and congratulations! I don’t use instant yeast since it isn’t available in France (plus I always feel like I’m cheating!) but I know it has its fans. John: The Breton’s salt their butter which preserves it, and of course, makes it taste heavenly. I use it whenever I’m making anything Breton-inspired. YIKES — I never thought of instant yeast as cheating! Now I have to reconsider the whole instant-yeast thing. It must be bad because it pretty much always works (i.e., not challenging enough). I used it for this recipe when the real thing failed — I probably screwed it up because I’m so used to using the instant. I will endeavor to make it work next time! My wife and I took another trip to France, earlier this month. We went to see Chateaus in the area around Amboise. We stopped at a very nice bistro near the Royal Chateau there, and tried the KA for the first time. My wife loved that dessert so much, she tasked me to find out a receipe for it. I am so glad that I came across your site. I’ll try the receipe for the first time, in a week. Wish me luck! Thank you for sharing this magical treat with the world. Just made 2 this weekend, both turned out really hard. I think the remedy is a lower oven temp and a glass pie plate. A friend of mine also said that I might have overworked the dough…is that a possibility?? (In this case I probably kneaded for ~ 7 min to get a dough that is soft to the touch. @MaryBraaten: your attempt looks exactly like the Kouign Amann I had in NOLA!! That was my first taste and I cannot wait to bake my own! I made your recipe using Plugra salted butter (the only European-style butter available at my local grocery), and it turned out wonderfully! I think you nailed the taste of the one we had in France earlier this year. I do not have a non-stick pie plate, so I lined a 9-inch non-stick cake pan with parchment and was able to get it out of the pan when it was warm. Thank you for the recipe. My husband is French. The first time we visited Brittany he was eager to have me taste his favorite pastry. You guessed right! Kouing-aman. I found it bit high on the gross-o-meter when the butter just oozed down my throat. I love to make pastry and he has often asked me to make him one. Today is his birthday and I decided to surf for a reliable recipe, because David is entirely right, I have never found a recipe which got me ‘authentic’ results. My first hit was this site, and boy was I thrilled to finally have a shot at getting it right from a VERY reliable source. It’s on the last chill in the fridge, so can’t comment on the final product. I suppose that will be up to François, the birthday boy, tonight after he blows out his candles. Thanks David, this was a great surprise and a comforting guide to trying to please my husband after several failures. hi david, not sure if it may be the reason why some of your readers failed, but I think the proportions indicated in grams are incorrect : 2 cups of flour being rather 420 g than 260 g, I think…? 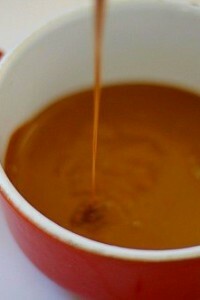 Hi Melina: Typically 1 cup of all-purpose (Type 55-65 in France) weighs between 130-140g. Other conversions, at Chocolate & Zucchini and Cafe Fernando, say roughly the same thing. Where you are getting that conversion? I attempted this again a couple weeks ago with Madeleine Kamman’s recipe from “When French Women Cook” and it was a great success!! Thanks to @MaryBraaten for the find. One question though, how did she get it so fluffy? Is it a matter of changing ingrediants, or how its folded or what? So I thought I’d just stupidly repeat to you what the author said about the flour quantity in your recipe to see what was the right one, I haven’t checked myself the conversions which are a real maths nightmare to me. Anyway, she says there’s a mistake in the conversion (pleading for 460g instead of 260g), but maybe she’s just found another way to make a decent kouign amann with a lower butter/sugar-to-flour ratio? Melina: I was hoping that Malina would comment back, letting me know where she was getting that conversion (since it varied so much from mine and the two other European conversions I cited), but there was no response. As mentioned, this is a very technique-oriented recipe, rather than than just mixing ingredients together and pouring them into a pan. That’s why I included step-by-step photos, and linked to sites (with photos) from people who’ve had success making this. It is tricky but worth the work! sorry I wasn’t clear enough : I got the conversion from the delicatesseNY blog, that’s why I mentionned it to you, but apparently your maths were rights, while the author from delicatesseNY probably made up another recipe. if you can read french well enough you can read her post. it’s all very confusing now, but I’m not surprised since it was a maths-based discussion! thank you anyway for your kouign amann recipe, I love kouign amann and I will try to make one very soon. 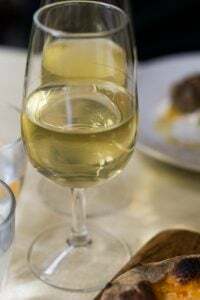 If you’re in the neighbourhood some day, my favourite one in Paris can be ordered at Chez Michel (10 rue de Belzunce, 10e : http://www.lefooding.com/restaurant-82-chez_michel.htm). The good news: this was easier than I thought it would be. The bad news: this was easier than I thought it would be! Your step-by-step instructions were PERFECT. Thank you for this totally killer (and I mean, killer) treat. It was buttery, sugary, flaky, golden bliss. I tasted Kougin Amann maybe 15 years ago in Bretagne, I never knew the name of it until I met a couple from there last summer and described the cake to them, sure enough once I had the name you had the recipe, what a fantastic and easy to follow description!! David, my family and I spent two weeks in Brittany a few years ago and became addicted to KA. Oddly, the local bakery didn’t sell it and we got many of ours from (gasp!) the supermarket. They sold a version with apples on it which we loved. Any suggestions on making such a variation? 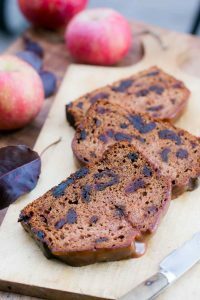 I’m about to make a double recipe of your version to feed my visiting family at Christmas, and I’d love to make an apple version, too. I just came across your blog in the last few weeks, and I am hooked! My family and I fell in love with Kouign Amann’s several years ago after having them for the first time at Fauchon in Paris. 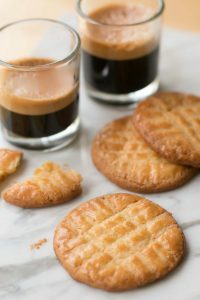 Just wondering if you’ve tried them ~ how do they compare to the ones from Ble Sucre? Since I can’t go to Paris as often as I’d like, I would really love to know your opinion on them to know if I’ve eaten a good Kouign Amann! Thanks so much and I love reading your blog. Two of your books are on my wishlist this year! I am a chef and am pretty well versed in the world of the pastry, I saw a tv clip on what must be what the streets of heaven are made of, and I decided I must give this a go. So I researched several recipes and came across this one. More suited for home practice. Well let me tell ya…i was thrilled with this recipe. Caramel is one of those things I must have. So crunchy, so salty, so good! I made some minor adjustments to the recipe,used brown sugar and unsalted butter with good flake salt, a touch more flour during the folding and rolling, also did a 3rd turn (probably wasn’t needed) . I baked a larger one and 2 “muffin” style-my partner ate a muffin before I could figure out if I had been successful! The larger one came out a bit darker-but still so flippin’ great! The dough was a bit more “wet” I think because of the brown sugar, but that added to the happiness that later ensued. I could write for several more pages about this, but I digress. Bottom line-so friggin’ yummy! And even though is time consuming, not as daunting as I would have thought from the other recipes I looked @. Can’t wait to make it again!! Thanks so much for the recipe!! I looked everywhere for it. The creations are on their first chill but perhaps not as sticky as described. Since my husband is diabetic, I cut it in half and made one following the recipe and one with stevia which won’t caramalize but may come out ok. Thanks! Kimmers, How did the stevia work out? I saw this on the Food channel as the Neely’s best food I ever ate segment. Sounds wonderful. Well, last weekend I made 3 of these delicious treats! one plain, one with cardamon and one with cinnamon! YUM! I cut the dough into 12 wedges and placed them in large buttered muffin tins with a piece of parchment paper under them. The parchment gave me something to aid in lifting them out. The large muffin tin worked better than the smallers one because the butter oozes out and really made a mess in the bottom of the over.. so I learned to put something on the lower rack just in case. This makes 12 excellent dessert pieces and cooked in 15-20 minutes instead of the 45 in the recipe for a whole cake. I was going to a party so I cut the 12 sections into 2-3 pieces and it was nice. It was a party hit!! Okay, this is getting made this weekend as part of my offering to my sweetie for Valentine’s Day.I was trying to research recipes for Kouign Aman (as you note, not easy to find) but I found this site. What a blessing. Many thanks, David, for your effort and all the detail, especially the weights on the ingredients. As an avid home baker I record all recipes in weights and calculate Baker’s percent on everything. You’ve made it so easy. However, I have a question about the yeast. The recipe notes 1 Tbl (12 g) and as I understand this is based upon active dry yeast. In the U.S. active dry yeast is commonly noted as 7g = 2.25 tsp, so 1 Tbl would be about 9.3 g and 12 g would be about 4 tsp. So I wonder, is active dry yeast in France a higher bulk density than the American version? Personally, I am a fan of instant yeast and am forever converting quantities (1 tsp/2.7 g instant = 1.25 tsp/3.5 g active dry = 0.5 cake/8.5g fresh). Wow, an interesting recipe and something I definitely look forward to trying. It seems fairly straight forward, except I’m not sure what a metal spatula is? I’ve got great rubber spatulas. A few nasty cheapo plastic ones. (Tsk. Tsk. I never throw anything away.) And maybe this is all a giant brain fart, but a metal pastry bench spatula? Got a link you can show me? Marti: A bench or pastry scraper is a flat tool used to lifting pastry: bench/pastry scrapers. I find them pretty indispensable for many kitchen tasks, including rolling out dough. If you don’t have one, a wide metal spatula makes a decent replacement. Well, I made this following David’s recipe for my wife on Valentines Day and, boy did I do well! It is much easier than it reads. For those wanting to use instant yeast, 2 1/2 tsp is plenty, and 2 would probably work just as well. Second, there is a U.S. brand of butter, Vermont Butter & Cheese Creamery, that is made in the traditional Brittany style (true cultured butter, lightly salted, 86% fat content) that works wonderfully well. I suspect it is pretty widely available as I find it in my local Kroger in nowhere TX, but it is in the Deli section with other specialty butters (vs. the dairy section for the usual stuff). 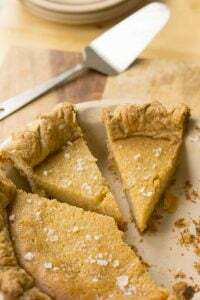 Third, for us U.S. folk I would recommend using a major national brand of bleached all purpose flour to get the right effect and tenderness (I use a blend of pastry flour and unbleached all purpose flour to get the desired balance). Finally, on baking I found ~ 400°F to be about the right temp in my oven for baking this – this gave great caramelization (dark amber) on the edges, bottom and most of the top which had some still granular and uncaramelized sugar. I finished the top with a small kitchen torch (like finishing creme brulee). Superb, David, and many thanks for sharing with us! well it has been a month or two & I needed some bliss in my life that comes in the form of salty caramel. but I also wanted some chocolate. And allow me to say that I have thought of this confection everyday since i experimented with it. So I add some cocoa powder, tweaked a few other things, & oh goodness, the chocolate, caramel, salty goodness is fantastic. so three hoorahs for the chocolate kouign aman! With kouign aman gaining in popularity (or is it notoriety? ), I’ve been reading about it more and more. Having never (knowingly) tasted it under its natural guise, I’m convinced after all this reading, however, that I actually got to eat quite a bit of it in Tokyo. Tokyo seems to have a distinctly French flavor when it comes to upscale Western baked goods. In fact, it is practically 100% French in that area. They do something similar in loaf form, either plain or sometimes with a little cocoa or cinnamon swirled in with the sugar. I’m guilty of devouring whole loaves of the stuff while in Tokyo and now in Beijing, which adopts lots of Japanese trends about 5 years to a decade after they hit Japan–much to the chagrin of the Chinese. At the time, I figured it must have been a danish dough prepared much the same way one would make palmiers and formed into a loaf rather than cut into cookies. But now I’m wiser, and I’m thinking they were actually pullman loaves of kouign aman. David, you might know better than anyone…what do you think? Looked for this dessert all over the place here at home. Even some French style bakeries couldn’t tell me about it. They’d never heard of it. I wasn’t much help because I couldn’t remember how to spell Kouign Amann. I’d tasted it in Nantes (ah, ma Bretagne!) and once leaving there never saw it again. Glad to have found a recipe for it after so many years. It looks like a bit of a challenge to make, but with enough patience (and proper reverence for this heavenly confection) it’s onward until done correctly. And to all who have succeeded with this one – good for you. Hi! Great recipe. I ran into a few problems doing this one: I only had whole wheat pastry flour on hand, so that might have been an issue. I couldn’t add the 2 cups of flour to just 3/4 cup of water; I had to add almost half a cup of water. And the finished product didn’t have layers. It just tasted like yeast, kind of sour. It looks great in your pictures, though… I’m sure I’m doing something wrong. Any suggestions? Lavinia from New York City. Lavinia: Using whole wheat flour isn’t recommended as it’s too heavy, and adding the additional water also caused it to be compact and not have the layers, as shown. I do recommend following the recipe exactly as written for best results. Epic. Just Epic. Thank you for the great recipe. Just ate the first slice (still warm) and holy-sweet-mother-of-all-that-is-right-in-the-world this is a fantastic pastry. On a hunch, I baked it in my cast iron pan (lined with a circle of parchment). It worked beautifully! So I recommend that as a vessel. Now to get this out of my house and into some grateful stomachs before I eat the whole thing! I made the recipe over the weekend in need of some comfort food. Well this was a total success and so so so good and buttery and sweet and caramelly. Will definitely make this again. I tasted this in Binic on the Brittany coast about 30 years ago and have never forgotten it. I was glancing through some notes we made in the back of “The Taste of France” book and found the name written down there, which stirred up some delicious memories. So, at last I Googled it and found your recipe, which is now on my priority list for baking. Looking forward to that great taste! I’m so happy so come along your blog and dedication to the kouign amann! The best one I’ve had was from Locronan, Brittany. 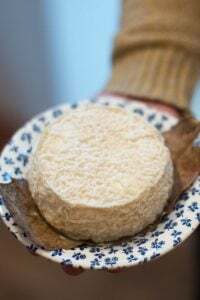 My wife’s family is from Brittany, and they’ll appreciate your instructions and recipe. I can’t wait to try to make it myself. BTW, Minneapolis (where I live) has a bakery that makes kouign amann, and claims to be only one of three bakeries in the USA to do so…. I made this recipe today, and despite some overflowing in the oven it was absolutely delicious! Well worth the effort. I love your writing and every recipe I’ve tried has always been great. And your honest commentary on life makes me think twice about my desire to flee the U.S. for some European paradise. Thanks! Thank you so much for taking the time to share this – I can’t wait to try it! One quick question… do you know if this finished product is freezable? I’m wondering how it would work if you wanted to make it ahead and how long it would last. I’ve not tried freezing a Kouign Amann, but if you do try it, let me know how it keeps. 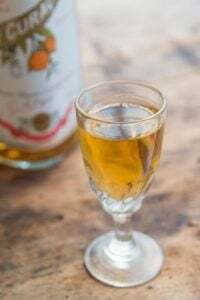 Having just returned form a week in Cournouaille, I had to try this recipe. It turned out great yesterday. I cooked it for 35 mins in the top oven of our AGA, with a blind tray in to stop the top browning too fast, and didn’t refrigerate it in between foldings but left it on a cool windowsill. I don’t think Breton farmhouses had fridges for most of their history, and I wanted a bready texture. Apart from that I followed the recipe, and it came out just right! I used a pie dish that was overlarge, so that the dough didn’t go right up to the edges. When I took it out of the oven the excess butter/sugar had filled the gap, and I made the mistake of letting it cool before trying to take the Kouign off the dish – of course, the liquid set to a firm toffee and glued the cake firmly in. I had to return it to the over for 5 minutes to remelt the toffee before we could take it out to enjoy. Next time, I’ll try a bit less salt, and maybe try to co-ordinate the foldings to leave more dough underneath. The shop version we had tried listed its butter content at 38%, so this recipe is way under. I’ve no idea how they manage to cram so much in. The link to my pictures on Flickr was deleted from that comment. Tried your recipe yesterday. Could not keep myself from eating 25% of it, right out of the oven! No big problem with the recipe, except that my dough was extremely easy to work with, so I’m thinking I added too much flour (I used Bread Flour), and the finished product was quite flat, but still tasted tremendous. Is there a way to make it puffier? I was puzzled why there was no rising time before baking? Good job on the recipe. One more comment to the author of this recipe, I’ve been making home-made croissants for 30+ years, and I’m wondering why you do not suggest putting the butter pieces on 2/3 of the dough, instead of just down the center? I’m sure you have a good reason . . I would just like to hear it! 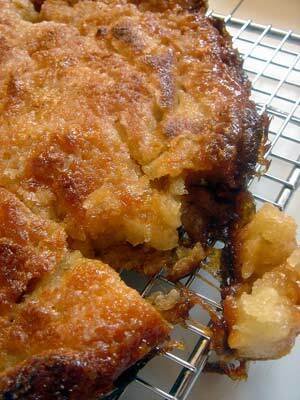 I used to live in Brittany and used to buy the most amazing kouign amann with caramelised apples on top! I can’t find the recipe anywhere! I was thinking about taking this dough and then using it for a tart tatin recipe, any ideas or recipes would be gratefully recieved! (David, you must feel like this is the post that won’t die!) I tried this today, inspired by how much my family loves the kouign amman from a local bakery. Everything was going just dandy until the dough started weeping during its second stint in the fridge. It got wet — not sticky dough wet, but wet — and the layers dissolved. The end result was buttery and caramelized and tasty, but not flaky! Any idea what I might have done wrong? Is the 3/4 cup of water enough? My dough seems too dry and hard. I am not find the sticky soft dough that David talks about. Did anyone increase the water? Any help is appreciated!! I just made this for the first time tonight and it came out great! It wasn’t that hard – much easier than puff pastry and croissants, and even sticky buns, I think. I threw in some dark chocolate chips before the last fold, and that turned out to be a nice bonus. Thanks for the recipe – I can’t believe I’ve never had this before! Liz: Glad it came out well! If you have a picture posted anywhere online, please let me know the link and I will add it to the end of the post, along with the others who have had success. Just one question before I dive in: after rolling out the dough the second time (before the final rest period) the instruction is to “Again, fold into thirds.” By this, do you mean to do a single envelope-type fold (which would indeed be in thirds) or to fold it into thirds and then fold *again* into thirds precisely as you did after the first roll out? In other words, do you do the same number of turns after the first and second roll-outs? Fold it into thirds, exactly as shown in the previous steps. Oh my…. this looks… Wow. Definitely will make this when the time comes, possibly for my birthday. I’m an absolute butter freak and there can never be enough butter in a dish. Thank you thank you thank you for this delicious looking recipe. Once again a wonderful recipe David! I made this last night and waited till this morning to have it right out of the fridge. Wow says it all! Now I understand why you love it so much! Thanks so much and keep those great desserts coming our way. this looks delicious!! i had Kouign Amman at Les Patisseries Des Reves in Paris and thought it was fantastic.. would this recipe be able to replicate that?